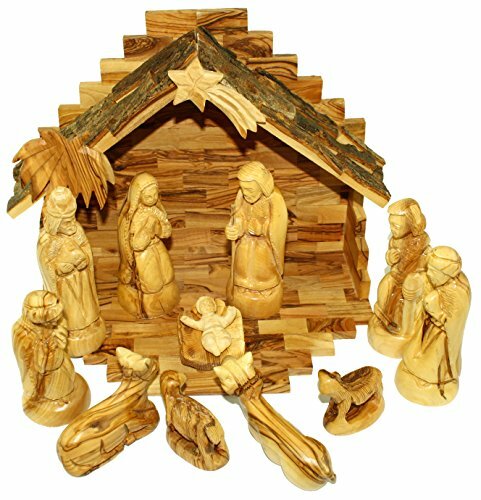 Olive wood Nativity with Natural look and design House or Creshe from Bethlehem. Set comes with a house that is 9 Inches high and 11 Inches wide and has Natural finish on top of house. Support Bethlehem Chirstians through buying their handmade crafts.